DiCaprio has been accused of hypocrisy as he preaches about saving the environment while continuing to fly around the world in private jets. 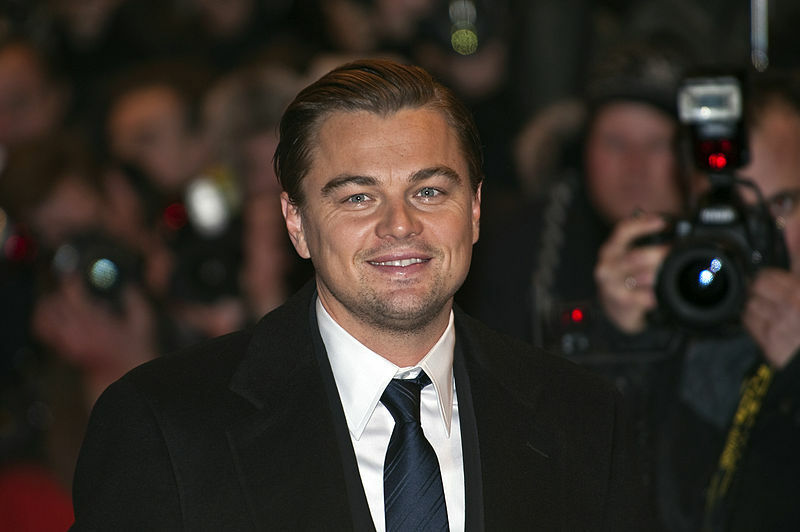 Leonardo DiCaprio, an actor and environmentalist, 41, took a private jet twice this week. He flew 8,000 miles to pick up an environmental award in New York by taking a private plane from Cannes, before flying straight back to France on another jet for a model-packed fund-raiser gala in Antibes, about eight miles from Cannes. Earlier this week, on Monday, DiCaprio was spotted at the Hotel du Cap Eden-Roc in Antibes. The hotel is not far from Cannes in France, where the Film Festival is currently underway. Leo was seen there partying at club Gotha on Monday with the model Georgia Fowler. However, Leo left the French Riviera for a brief trip to New York City to attend the Riverkeeper Fishermen’s Ball on Wednesday, where DiCaprio and Ralph Lauren were this year’s honoree. When he obtained the honor, just 24 hours later, Leo DiCaprio reappeared back in France for the glitzy amfAR’s Cinema Against AIDS gala where he gave a speech and auctioned off a week long stay at his Palm Springs residence. The ­amfAR gala raised $25 million, while the Riverkeeper event brought in $1.6 million. Leonardo DiCaprio has become one of the world’s top climate change champions over the last few years. Leo has increasingly used his fortune to support conservation efforts. His environmental foundation has donated at least $30m in funding to help advance the United Nations climate negotiations, to protect tigers in Nepal, stop overfishing and create marine reserves in the Pacific, as well as spread public awareness about the dangers of climate change. DiCaprio’s foundation even produced a series of videos to teach people how to conserve energy. Last January, however, he flew by private jet to the World Economic Forum in Davos, Switzerland, to pick up an award. During his Oscar acceptance speech, he delivered a message about the perils of climate change. But he took six private jets in six weeks in 2014. DiCaprio is accused by some environmental activists of having a carbon footprint that’s likely among the biggest in the world by flying private jets, renting out entire yachts, and maintaining multiple multimillion dollar residences.